iPads burst on the scene and were a major disruption to the PC market right from the start. 8 years later, sales of iPads may have slowed a bit, but they are no less useful and still play a major role in our daily routines. 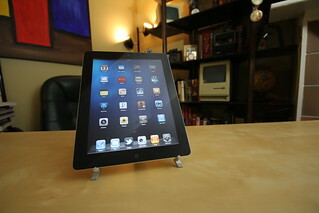 Here is a comprehensive list of the iPad facts and statistics that you need to know. This is an offshoot of my original Apple stat post that was becoming unmanageable with the amount of stats that had been added to it. 2015 was the first year the iPad dropped in sales since its introduction. Report 2: Mobile Industry and Company Report (Android, Google Play, iPhone, iPad, Samsung, Verizon, Xiaomi and Mobile Industry).